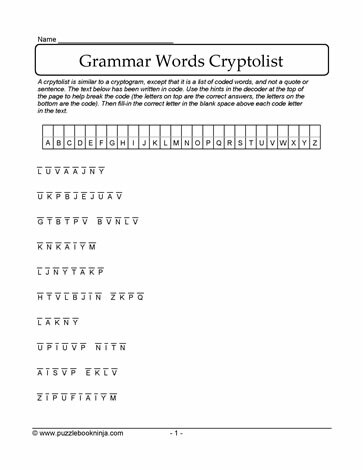 Download the grammar words cryptolist puzzle to use in the classroom, for students who are homeschooled, and as a family fun activity. It is a great review puzzle. Challenge family and friends to see who can decode the grammar words first!